Keep your computer safe with our virus removal and industrial grade antivirus protection! ​We understand that you may not be a technical expert so we can help you with data backup and recovery! ​Contact us today if you need to boost lost or hidden power of your computer! ​We depend on computers in our daily lives more than ever before, but who do we trust when our computers need service or repair? A² Z Computer-Fix is your local, affordable, high-quality IT service. We serve Sacramento, Elk Grove, Carmichael, Rancho Cordova and Citrus Heights with same-day service for Sacramento PC repair and the highest customer satisfaction rating. By the time we're through, your computer will perform with the power that you forgot it once had. We don't make quick, temporary fixes: we provide complete and thorough solutions to your computer problems. 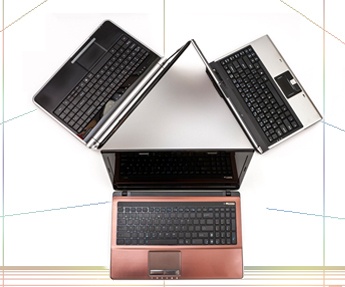 Our repair tracking system means that you will save money should your computer need service in the future. Our certified and approved system engineers will travel to your location, saving you time and money. We provide same-day repair by our licensed experts at your office or at your home. Have you had bad experiences with technicians who had negative attitudes? You have nothing to fear with our courteous service: our experts are patient with all of our customers. 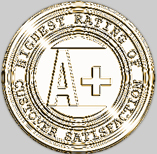 We are a trusted source for all your computer needs and have consistently been given an A customer satisfaction rating, the highest award possible. Our two decades of experience in serving the Sacramento Valley's business and residential customers means that we can give you the maximum value for your hard-earned dollar. Call today for help with data recovery in Sacramento. Copyright 2012: A2 Z Computer-Fix | Sacramento PC Repair | All rights reserved. “Thank you for your friendly help with the problems I have had with my computer. Shan has a charming manner even when faced with my ignorance and repetitive questions."